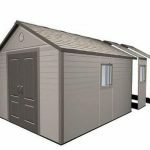 This plastic shed is 10’ x 12’ in dimensions, and has the added touch of being maintenance free due to the nature of the construction itself. 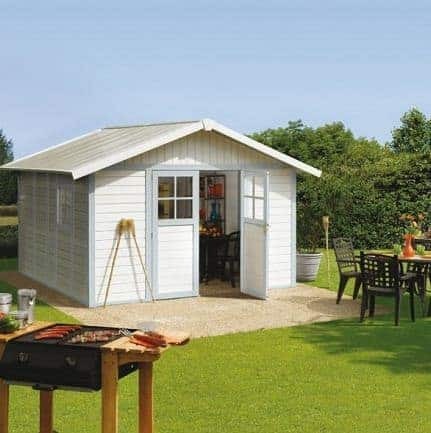 The PVC used to make the shed is completely UV resistant, so you know that you have a shed that is also a space that is safe from any of the sun’s harmful rays. 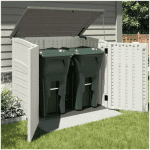 The grilles ensure a high level of ventilation, which is obviously important throughout the year. 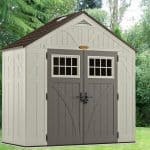 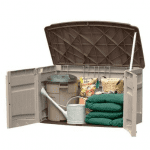 The shed also comes complete with a 10-year guarantee, for your peace of mind. 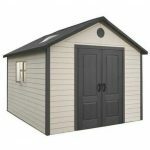 A high quality, easy to care for shed.